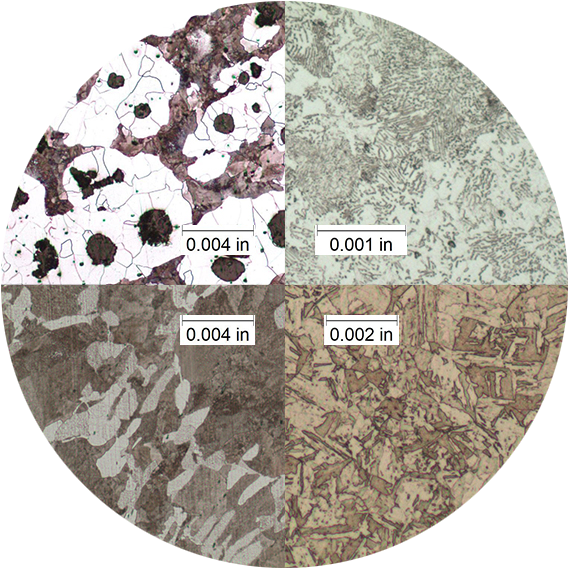 Examining the microstructure of a material can tell a lot about the quality of the production or post processing of a sample. This can help you predict how your metal will perform under various circumstances. 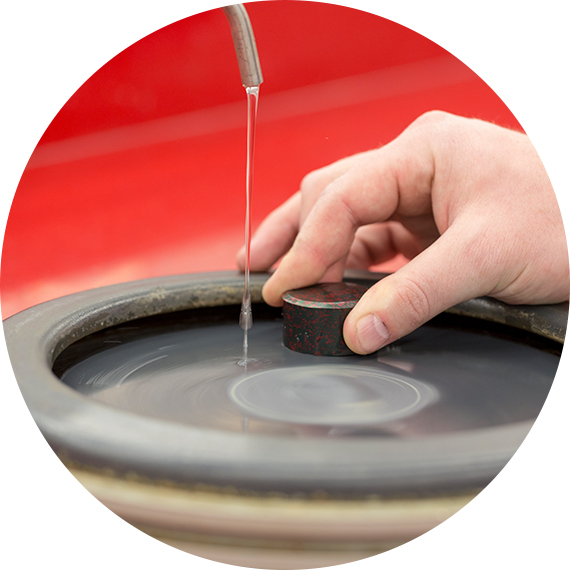 To prepare a sample for a metallurgical microstructure analysis in our metal testing lab, we section a piece of the original sample, mount it and polish it. Our expert metallurgists then look through an inverted microscope to analyze structure, small fractures, voids, and other possible imperfections that could hint at the overall performance of the material. We have the capability to perform average grain size measurements to common international standards such as ASTM E112. 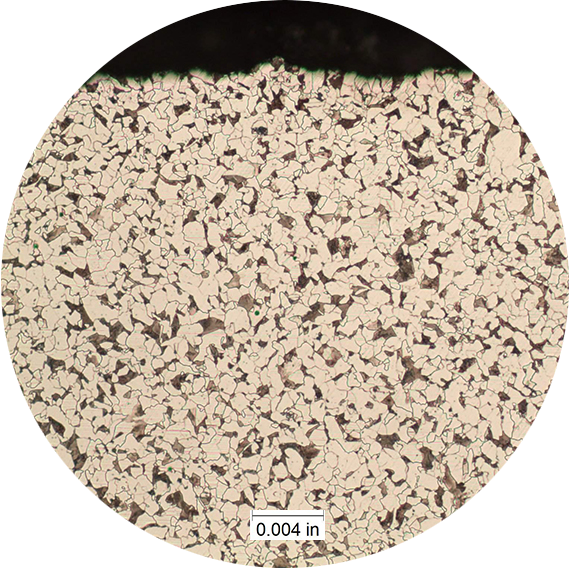 Through use of our metallographic preparation and optical microscope, we can report a grain size number accompanied with a photomicrograph of your sample. We can perform inclusion ratings on steel samples to common international standards such as ASTM E45, SAE J422, and ISO 4967. 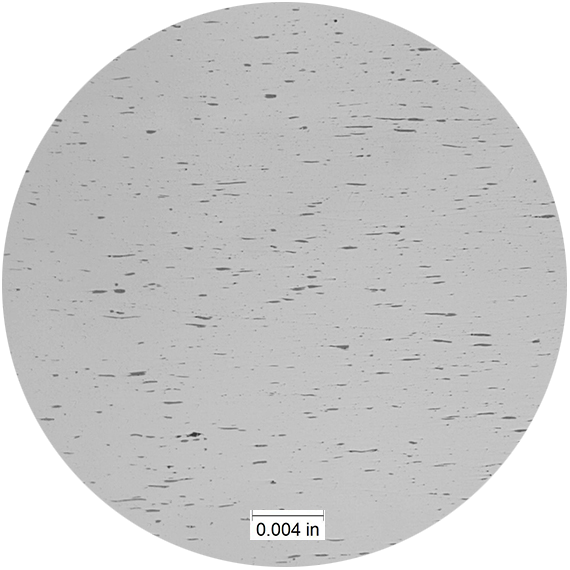 Through use of our metallographic preparation and optical microscope, we can report inclusions such as sulfides, oxides, silicates and aluminides to their appropriate severity ratings. Carbon depletion can occur in uncontrolled atmospheres at high temperatures, causing your sample to have a different carbon content at the surface. This can affect downstream processing that is counting on a relatively even carbon content throughout the bar. We can perform an analysis of decarburization to common international standards such as ASTM E1077. 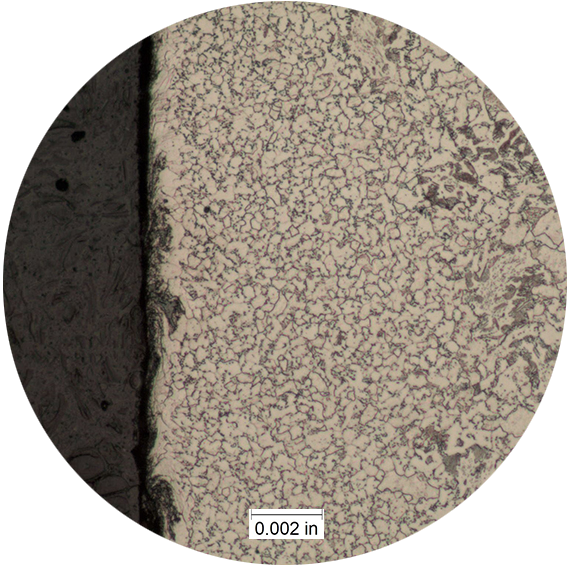 You will receive a report that includes the depth of complete, partial, total decarburization, and a photomicrograph of the surface of your sample.